These are three words you will see a lot on social networking sites for the next few weeks as Rangers unveil the new talent for season 2013/14 in SFL 2 to continue the journey back to where we belong. In today’s blog we will review the new players signed to the club, the players linked and the players I’d personally like to see coming to our wonderful football club to enjoy playing in front of 50,000 fans every other week who will love and adore them if they give 100% for the shirt. As I have mentioned in the past I’d prefer young hungry players signed, players who we can not only develop to become stars with sell on value for future proofing our club should we need to sell but players who can fit into a footballing philosophy so when its time for SPL and European football those lads are ready for when normal service resumes…Rangers winning SPL titles, domestic cups and playing Champions League football. There has never been a better or more attractive time to join our football club no matter what the bitter,biased and obsessed media may say about it. These players will never get the chance to play in front of a more passionate crowd who will support them like no other fans in football. Our fans showed exactly what the SPL has been missing with our amazing support and world record attendances that myself and I’m sure everyone reading this blog contributed to. We all know the football has to be better and I along with many other fans have stressed our dislike at the standard of football and lack of tactical knowledge from the manager and poor fitness within the team but lets hope with the big changes in playing personnel that can help add competition and a bit less excuses along with big wins and with style that should have happened against pur part time opponents in SFL 3. Rangers don’t sign bad goalkeepers, a phrase very much true when you look at our last few custodians. 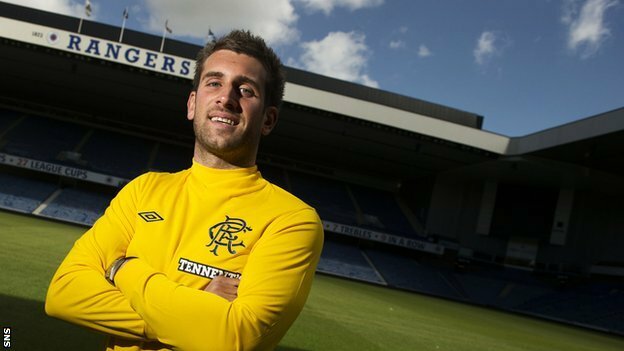 I believe the club have pulled off a terrific signing here in former Kilmarnock keeper Cammy Bell. 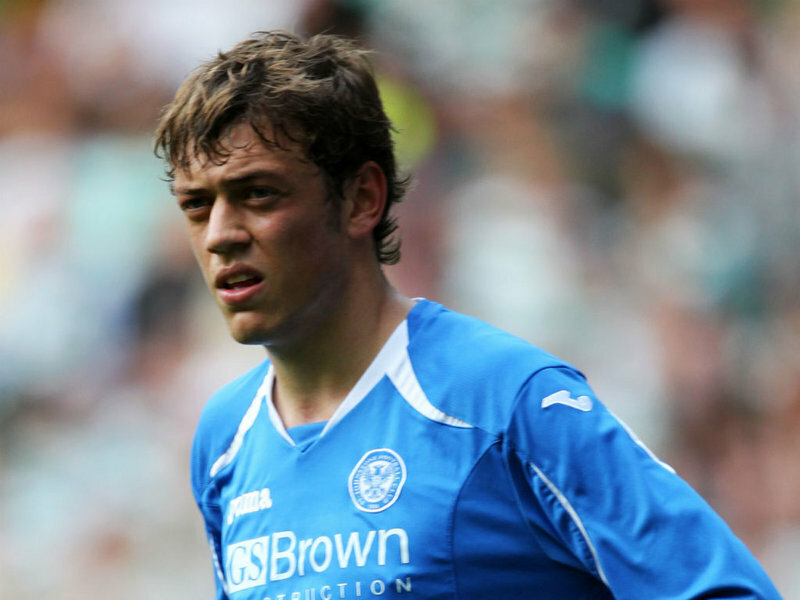 Still only 26, Bell has made outstanding progress in the past 3 years and his quality has shone through in many performances including a man of the match performance in Killie’s League Cup Final win in 2011-12. A few fans expressed a little doubt about Bell and still do due to a few errors in his game this season but the fact of the matter is keepers make mistakes and Bell’s biggest problem in my view is going stale at Killie. Once he pulls that yellow Rangers jersey on for real it will galvanise the player and he will reach levels he never thought were possible. We have another gem here and Rangers keepers always get good support so let’s give Cammy the time to settle and we’ll have a star for years to come. I was very happy when this signing was announced as Nicky Law is exactly what our midfield lacks…someone who can attack, go beyond the striker, create and score goals along with playing in a variety of positions in the midfield area. Law was very much deployed in a more attacking role at Well and his goal return showed that when you compare it to his time at Rotherham and Bradford City. Another thing that I like is Law has amazing fitness and energy and he has played at least 40 games a season for the past 4 seasons which will be crucial when he makes the move to Ibrox as well will want better showings in the cup competitions this season. Law rejected English Championship sides when he left Rotherham and he is rumoured to have done the same after leaving Motherwell. A signing I’m very much looking forward to seeing in the Rangers side and his qualities will hopefully enhance our star youngster Lewis MacLoed. I’m not going to beat around the bush here but I wasn’t happy when we signed Daly. Nothing to do with religion we have signed many catholics before not that that stat should matter when you sign a football player, I assume the media in Scotland will mention every player who sings for any side’s religion when he signs? This is down to sheer lack of football ability. The player is in decline and will be 31 years old in January. The way I see it is we now have two very similar players over 30 years old in Jon Daly and Lee McCulloch, both can play centre back and up front, both lack pace, both suit the hammer thrower style of football that we sadly saw way too much last season. Only difference between Daly & Jig is the latter loves this football club dearly and would run through brick walls for it and the former…well he isn’t exactly rumoured to like our club very much. Not that I’m saying every player we sign should support the club because that will be pretty much impossible to achieve but when you support a club and play for it your passion and efforts seem to increase that bit more. 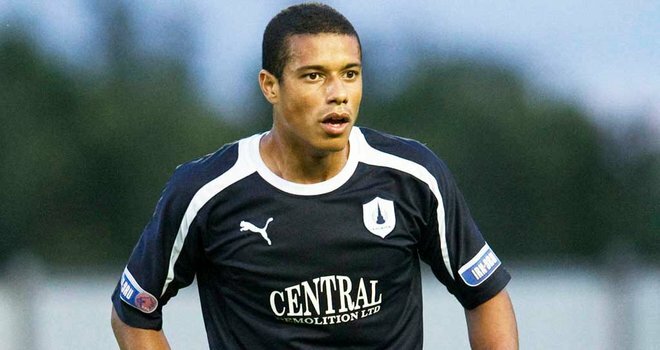 Daly will also be on a very big wage and we could have signed a couple of young players instead of him such as Lyle Taylor of Falkirk who I will discuss in a little bit. 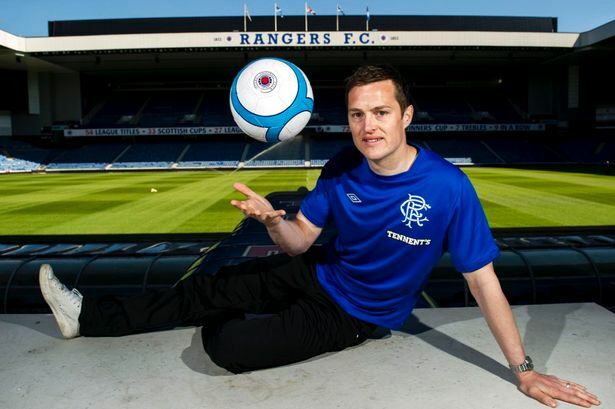 Could Daly be a good player for Rangers? 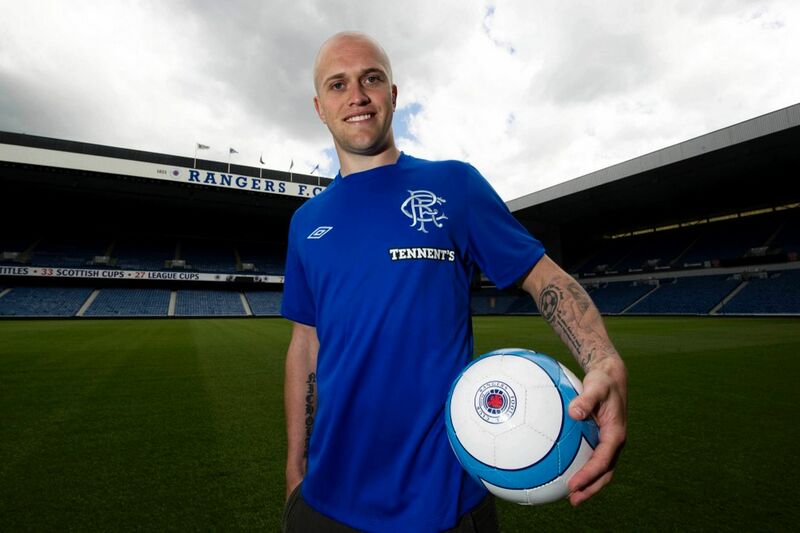 Of course he can, this move might galvanise the player like any other playing signing for our great club and I’m here to be proven wrong because the player is here now we all have to get on with it and he will be hopefully be scoring a lot of goals for Rangers who are bigger than any other person past or present to ever represent the club. From 203 games he has 73 goals in Scotland, I hope this isn’t another Sandaza and he actually puts the effort in and tries to make an impact here, only time will tell. What a season young Nicky Clark had in former Ger Allan Johnston’s Queen of the South side last season. Clark actually started the season as a defender/midfielder until ‘Magic’ Johnston switched Clark to centre forward where he surpassed both he and his manager’s expectations I’m sure by smashing in 41 goals in all competitions. I watched the player in a few games when Queens played on BBC Alba and of course against us last season and his movement is absolutely fantastic, to score that many goals in any league is a massive achievement for anyone. 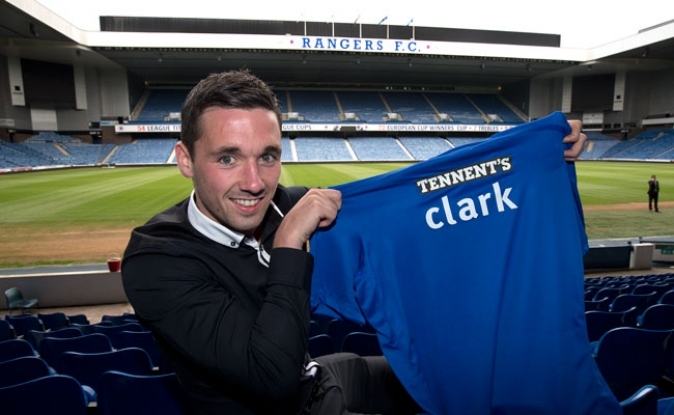 Reading Clark’s comments he is so excited about signing for the club he has supported all his days and you get the feeling he will play with his heart on his sleeve every single week. His former boss Johnston said ‘if you are a goalscorer you can score anywhere’ and that line is spot on, I don’t normally deal with hypothetical questions in The Sports Lab but if Clark can score 41 goals for QOS imagine the number of goals he can get at Rangers with the vast increase in chances. At 21 years of age this is a player we can mould into a top striker and if Clark gets a few goals early on in his career his confidence will stay sky high and he will bang the goals in all the way to the SPL and beyond. Great signing this and I’m sure a lot of bears will feel the exact same way. Just take it easy in Ibiza young man we’ll need you sharp for the new season! 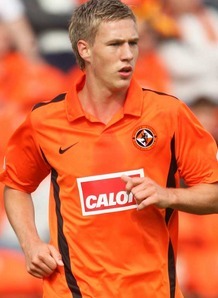 With the signing of Nicky Law this could potentially scupper Rangers long term interest in Murray Davidson. When you consider we already have Ian Black, Lewis MacLoed, Nicky Law, Dean Shiels, Kyle Hutton & Robbie Crawford the central midfield position is one in demand. I personally would still sign Davidson as I believe he is a much better footballer than Black & Hutton, it would be a huge loss in my view if either of those players were sold on. Davidson is a player with tremendous energy and stamina and for me fits the box to box midfielder role very well. Davidson has been linked with Aberdeen and its rumoured to be a toss up between them and Rangers but like I mentioned at the start how serious is our interest after signing Law. We have to be careful with the balance of the team also, players such as MacLoed and Crawford in my view have huge futures at this football club and their development cannot be hindered with lack of first team opportunities. One of the quickest players in the UK game today, Humphrey’s has pace to burn down the right flank and would be an excellent asset to our side. There has however been a strong interest from Leeds United and at one point they were close to signing the player, but Rangers have also been rumoured to have met with Humphrey’s agents and offered a contract to the Jamaican winger. The player has had 4 very successful seasons at Fir Park and for me would be a welcome addition to our side as not many players up here will be able to keep up with Humphreys. Again balance is very important when you consider we have David Templeton, Barry McKay and Fraser Aird all very good young promising wingers but at 25 Humphreys brings another dimension to our attack and is very different to the 3 wingers I mentioned already as they are more skillful players where Humphreys is sheer pace. 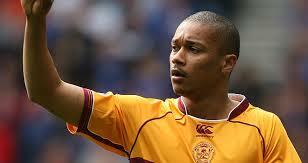 Lets hope we beat Leeds to his signature and he continues to ply his trade in Scotland. A player we have been linked with for a few weeks Wotherspoon has played a 140 games for Hibs since making his debut four seasons ago. Still only 23 he has played for Scotland from U’18 to U’21 level. The thing that strikes me about the player is the number of positions he can play in, this is what we used to call a Walter Smith signing due to his flexibility across the park. He is a left footed player who has played at the left and right sides of defence and midfield along with centre mid and just off the striker in an attacking role and from what I’ve seen of the player he would be a very solid acquisition indeed due to his ability to play in a number of roles if required. along with his quality technique. One to keep an eye on over the coming days. Out of all these rumoured targets this is the player I’d like the most. Nothing to do with the fact this young man’s father Mark was a very good player for our club and a hero of many fans myself included for a number of years but the fact he is very talented in his own right. He has excellent stamina and is quick, has been played initially as a centre mid but has excelled at right back a position we really need to fill. Greek defender Argyriou was a stopgap and I know Andy Mitchell looked the part in the final few games there earning himself a 1 year contract but Hateley is the man for me. His excellent set piece deliveries is something that has caught the eye of a lot of our fans and a lot of us will know our quality in that department has been lacking for many years. I’ve personally witnessed young Tom smash in a free kick in the top corner, sadly it was against us and we scraped a 1-1 draw at Fir Park that night. He has been offered new terms at Motherwell and there is interest from England but lets hope Tom joins his good mate Nicky Law at Ibrox and being a massive Rangers fan I’m sure if we have offered a contract Tom will jump at the chance and I for one hope he does. We need centre backs and for me Dorin Goian and Carlos Bocanegra are too expensive for SFL 2 and in my view we should let them go and replace them with younger talent. By the way Boca is a player I admire on and off the park and epitomises everything a Ranger should be but he is on far too much money as I mentioned before. 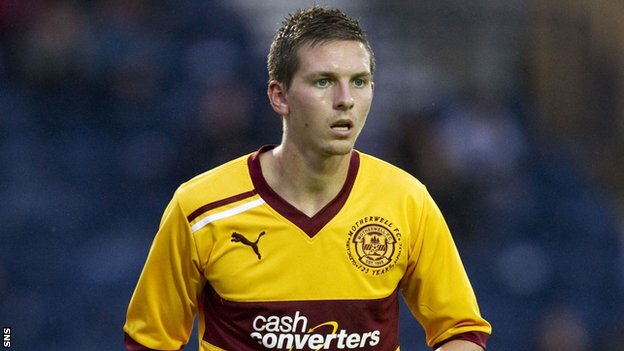 Steven Saunders is young player who has the ability to go a long way in the game up here, still only 22, Saunders appeared 74 times for Motherwell in his 5 years at the club. This transfer however would have a risk, well doesn’t every transfer have it risks even the ones you pay millions of pounds for! 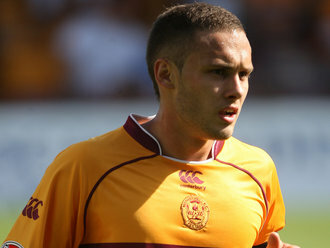 In all seriousness Saunders had two injuries in the past two seasons that have restricted him to only 3 appearances which is a shame as this lad is a top player and formed a good partnership with current Motherwell man Shaun Hutchinson who would also be a great signing for us but that would have to be January as he is still in contract. Saunders can operate at centre back or right back so is a good versatile player but fitness is obviously a very clear problem in the past two seasons but I’m sure if he did make the move our facilities and change of scene could perhaps make those problems go away. I mentioned Taylor in my piece about Jon Daly and due to the signing of Daly and Clark I’m not so sure the forward area is one we will be looking at anymore with Lee McCulloch, Andy Little, Kane Hemmings and Kal Naismith backing up our two new forwards. It’s a shame we spent so much wages on Daly when we could have had Falkirks goalscoring machine Lyle Taylor, who at 23 has it all, Pace, power, good link up player, solid technique and the ability to score goals and lots of them. The Englishman played 42 times for Falkirk and scored 29 goals which is very impressive indeed for his first season in Scotland. He only signed a one year contract with Falkirk last season thus leaving him available on a Bosman and we would have got him for buttons compared to shelling out money for a 30 year old SPL striker. He also gives us something totally different to any of our other forwards but in my view this is a signing that won’t happen now unless we sold Hemmings or Naismith or if Ally decides to play Daly or Jig as centre backs. 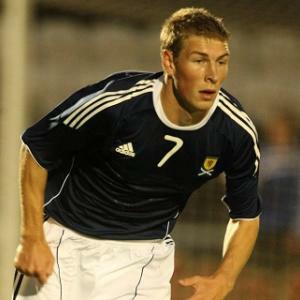 We need cover for our excellent left back Lee Wallace and for me Barry Douglas is the perfect fit for the job. Still only 23 Douglas has played 138 games in Scottish football with Queen’s Park and more recently Dundee United. The player like Lee Wallace can also be utilized as a left midfielder and has an excellent technique in his delivery of the football. We haven’t been linked with this player to my knowledge but he is available on a Bosman and a player who would provide excellent backup for the best Scottish left back in the country but its rumoured Douglas will sign for Polish side Lech Poznan so this may be a non starter. We need a centre back or two and I have already mentioned a risk in Steven Saunders due to past injuries. 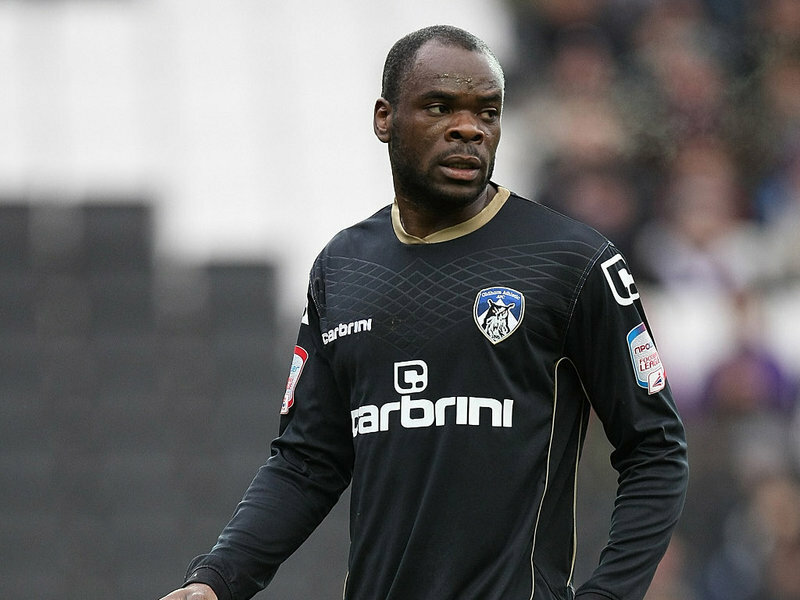 But one man who in my view not represent a risk and is a totally outside the box signing here is Jean-Yves M’voto of Oldham. The player started off at PSG in France and signed for Sunderland 3 years later. He never played for any of these clubs but its very clear the potential was there otherwise Sunderland wouldn’t have shelled out £500,000 for him. After a loan spell at Southend and Oldham, the latter being the club he signed for on a permanent basis and he seems to have found his form and his potential is once again being discussed as he is a Bosman signing for someone now. We have been linked with Middlesbrough’s Andre Bikey but M’voto represents better value as he is still only 24 and on the way up with Bikey at 28, squandering chances at big Premier League clubs is on the way down. At 6’4 M’voto is exactly what we need someone big and who can command balls in the air especially from set pieces where we conceded far too many goals last season. Will this happen? Who knows but it would be nice to imagine our scouting system can think outside the box and find players of this quality out of contract despite the fact he plays in League 1 for Oldham!